While flying the Mercy Air 21 helicopter on Sunday, the pilot detailed how the unidentified object was hovering some distance away from his position. However, the object was only visible through his night vision goggles. 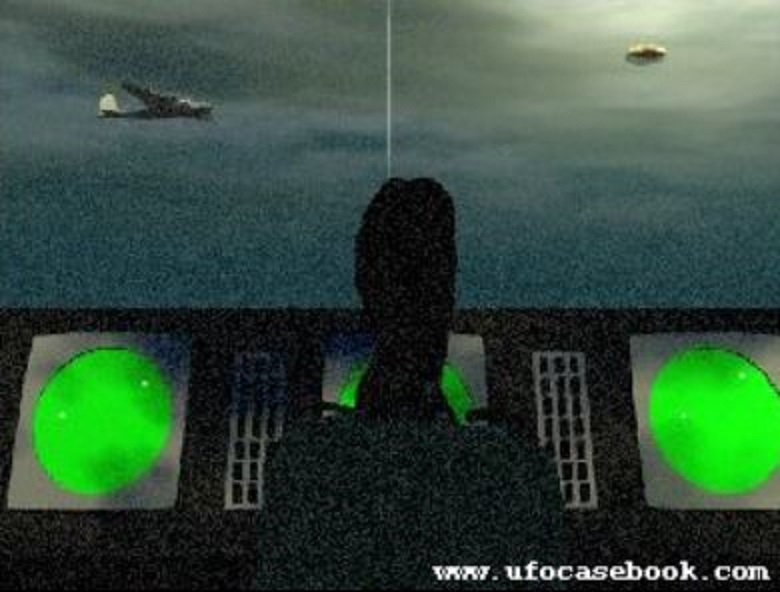 During the radio exchange between the pilot and an air traffic controller, the man shared the bizarre sighting while flying over Las Vegas, Nevada, US. He said: “Just to advise, it looks like I have some sort of object over the southern hills area looks to be about 7,000ft, could be a balloon or something along those lines. “It’s unlit so just advise.” The radio controller replied: “Okay, I’m not seeing anything in that area but that’s not to say there’s something not out there.” “I can only see it, I’ve got night vision goggles on, I can only see through the goggles,” the pilot replied. The seemingly amazed controller answered: “Ooh, that’s awesome.” NOTE: The above image is CGI. This has been bugging me since I seen this and I have to get it out there on file . I was staying with my wife at her aunts old cabin in Wells Vermont . We have been going there for the past twenty yrs together every yr and I have never in my life seen anything like this any where in the world or on tv . It was a nice beautiful night with a slight chill In the air . I was out first night there for the week and I stayed up late to enjoy the nice view of the stars . I have witnessed many aircraft in flight there and at numerous air shows . I know what a plane, helocopter, rocket and hot air balloon look like and this was nothing even close to any of them . It was around 4:00 am and there was absolutely no sound except a small plane way out in the distance just north east of my position flying towards my direction . I knew this cause I could see his front lights and red and green marker lights blinking away very easily and say yes that is a small propeller gas powered airplane . As I am standing there enjoying the start of our vacation I am facing dead east looking out at the lake when I see my shadow cast in front of me like there is a police car with its spot light on me directly . As I turn around I am expecting to see a car and what I see has blown me away ever since . As I turned around I had to shield my eyes since it was so big and so bright I could hardly look at it with my hands In front of my eyes looking just over my shoulder I could see what looked like a giant 2 story house sized very ultra bright ball of blue/green more blueish solid light all around the object . It was only maybe 50-100 feet above the trees and roughly 2 properties to the left of the cabin . It was moving over the trees and water roughly 30-50 miles an hr over the landscape and it went from dead west behind me to straight across the small side of the lake eastern till it lifted with the landscape across the other side and disappeared on the other side of the cliff face that faces the cabin . Everyone I tell this to says I am crazy and I watch to many ancient aliens show . But god as my witness I have never seen anything like this nor do I want to again . I just want someone to tell me what the heck I saw cause in my eyes it should not have ever been there and it was to close for comfort . I hope I never and I hope I do see it again someday . I was unable to get a pic or video cause I was to lost in what was happening at the time and grabbing my phone from inside was not an option to get it in time . Please if anyone else has seen this I would love to know what I have seen . NOTE: The above image is real but from another investigation. This case is under investigation by Sate Director Ken Pfeifer of MUFON Vermont. “Friend, please land.” He repeated this message several times. A few seconds later they heard a faint whirring sound and the UFO descended to within a few feet from where the boys were standing. The craft settled just above the ground and three long tripod-like supports telescoped downward. 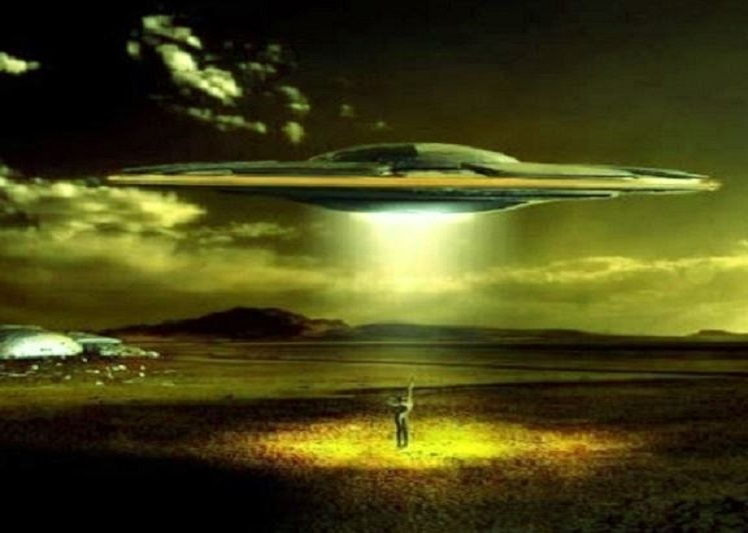 The glowing of the UFO dimmed until it was a dull white light, and then a ramp opened and lowered to the ground. Then three tiny man-like figures emerged from the craft and began to walk stiffly down the ramp. The frightened boys were tempted to run but remained there. Just then they heard a loud voice that sounded strangely metallic speak: “Do not fear us. Stay and talk.” Manuel and Jose, speechless, nodded. They stared in utter astonishment as the three little men in their suits of shiny brass-like material came toward them. A voice that seemed to come from all directions at once, asked them: “What are you?” The boys asked the little men where they were from but the question was ignored. For nearly an hour the questioning continued. The boys answered whatever the voice asked but whenever they asked a question they got no reply. Finally the voice inquired, “Would you like to come aboard our space craft?” Both boys agreed to go inside. The little men in their gleaming brass-colored uniforms and pear shaped helmets led the way up the ramp. They kept turning around as if looking to see if the boys were following. Their features in the helmets were obscured because of a cloudy vapor, which they seemed to be breathing so the boys had no idea what they really looked like. When they entered the craft they were surprised at the roominess of the interior. All around the craft were hexagon shaped sections like small cubicles. Tiny lights and buttons were to be seen on a console panel in the exact center. They saw no other little beings, although they had a strong feeling that other eyes were closely observing them. The little men asked the boys if they would like to go with them, and added that they would not be harmed. But the boys replied that their parents would be worried. After several more questions by the little men, the craft began to make a loud humming sound and the voice announced that it was time to leave, that perhaps they would visit them again. Manuel asked for a souvenir from them to prove their encounter. There was a peculiar high pitched humming noise and one of the little men came forward and held a small cylinder in his hand. They were told to take it as a token, that it was a small hand held light, that whenever they wished for the light to come on, they merely had to squeeze it. The little men demonstrated. There was a brilliant light form the lens. Manuel removed its own flashlight and gave it to the little men, as an exchange. Several minutes later on the ground the boys watched the saucer-shaped object rise up noiselessly and vanish in a wink. Just as the boys began to hurry toward their homes several helicopters swooped down from the night skies overhead, playing searchlights over the area. At the same time three Army jeeps came down the path at breakneck speed. They were interrogated numerous times by the military personnel and their strange flashlight device was examined and then taken away. Manuel Pereira and Jose Sotuyo vanished from their homes about a week before Christmas 1966, and were never seen nor heard from again. NOTE: The above image is CGI. A fireball exploded above the Bering Sea at about noon local time on December 18, 2018 from an asteroid with 10 times the energy of Hiroshima’s atomic bomb at a speed of 32 km/s (20 miles per second). The event went unobserved until military satellites spotted light the explosion released. The fireball was also spotted by Peter Brown at Canada’s University of Western Ontario, who announced his finding on Twitter. Brown looked at data taken from around 16 different infrared stations that were originally set up to listen for covert nuclear tests. The BBC reports that it’s the biggest blast since the meteor that exploded over Chelyabinsk in Russia in 2015—and the second-biggest in 30 years. It was 10 meters across, and the energy released as it exploded in Earth’s atmosphere was equivalent to 173 kilotons of TNT. That’s about 10 times bigger than the atomic bomb used on Hiroshima in 1945. “That was 40% the energy release of Chelyabinsk, but it was over the Bering Sea so it didn’t have the same type of effect or show up in the news,” said Kelly Fast, near-Earth objects observations program manager at Nasa. 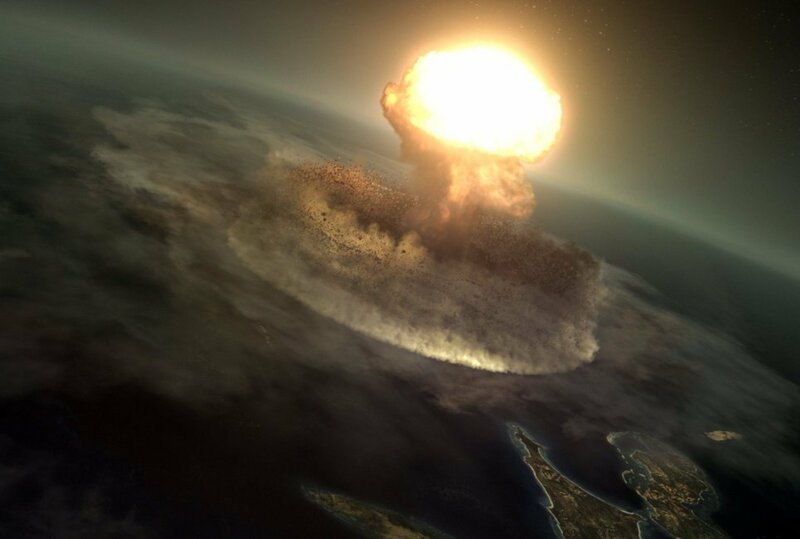 “That’s another thing we have in our defence, there’s plenty of water on the planet.” Lindley Johnson, NASA’s first-ever Planetary Defense Officer,, told the BBC an explosion of this size takes place about two or three times every 100 years. KENS NOTE: I did not hear anything about this in the news. What else are they trying to hide and how much have they already hidden ?? 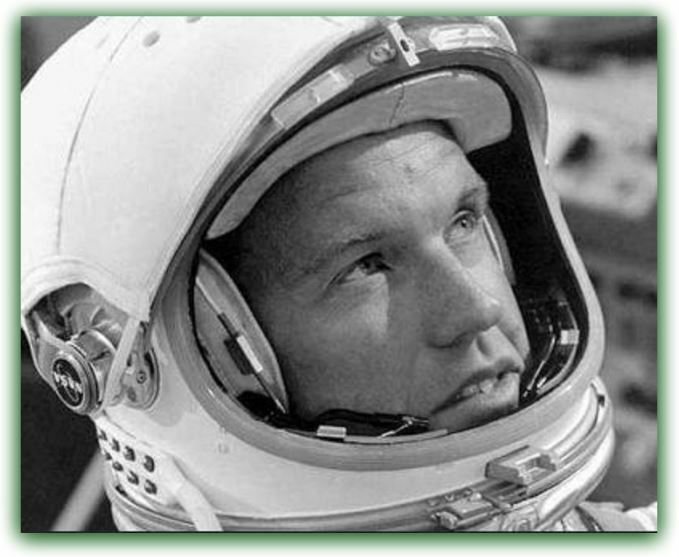 Gordon Cooper Witnesses UFO On Last Solo Space Mission While Orbiting The Earth! For many years I have lived with a secret, in a secrecy imposed on all specialists in astronautics. I can now reveal that every day, in the USA, our radar instruments capture objects of form and composition unknown to us. And there are thousands of witness reports and a quantity of documents to prove this, but nobody wants to make them public. Why? Cooper would further elaborate on an event in Florida that he himself witnessed when US authorities “did just about everything” they could to keep the incident out of the public domain. He would claim that flames in “four indentions left by a flying object” that had landed in the middle of the field were covered-up. Furthermore, so were the witnesses, all of whom saw several strange “beings” leave the craft to gather up soil samples and study the make-up of the ground. Then, as if nothing out of the ordinary was taking place, these entities returned to their craft which “disappeared at enormous speed”. The reaction and response to Cooper’s claims was, by and large, that he was an American hero who, due to old age and possibly as a result of his testing planes at the absolute edge of their capabilities, was now a little “confused” about what he did and didn’t see (something Cooper would refute right until his death in 2004). One camper, who happened to penetrate that valley was surprised to come across a large “saucer nest” in a forest clearing. 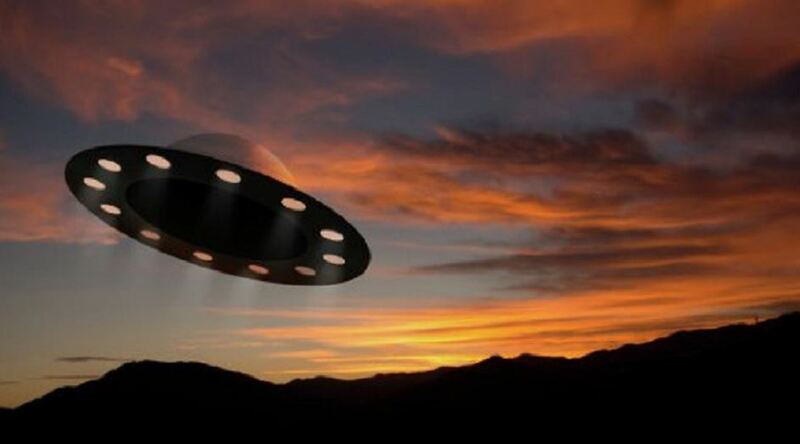 Yet the most startling incident occurred when a lone camper, Brian Dogherty, while camped under the stars one night, saw a large, dark “saucer-shaped” craft moving over the surrounding tree tops. As he got to his feet he heard a loud “crunching” sound as the craft landed in a nearby patch of gum forest above the gully he was camped in. It was a long time before he got back to sleep and by the time he awoke and went in search of the landing site of the mystery craft, it had lifted off and flown elsewhere. All that Brian found was an area of trees and shrubbery that had been broken and flattened. 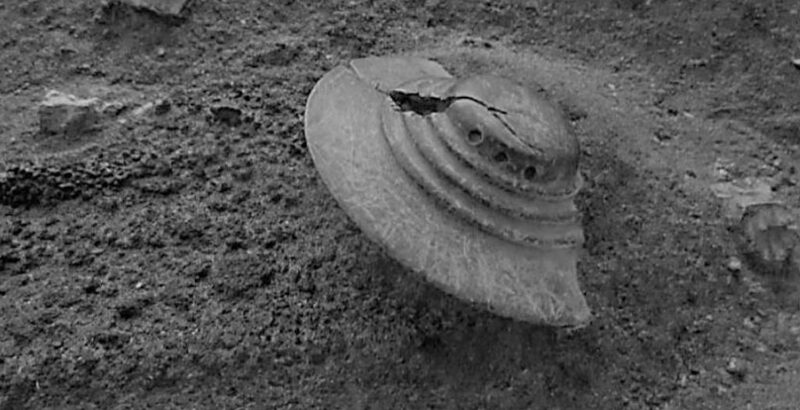 That same year a hiker, Peter Suttor, happened to penetrate an area beneath the cliffs on the south side of the valley one day, which it turned out, was in the vicinity of two “saucer nests” discovered earlier by campers. From the protection of shrubbery he saw at a distance, several man-sized forms clothed in what he later described as “spacesuits”. The mysterious beings appeared to be searching the ground with strange metal devices, apparently collecting soil and rock samples. It was not long before Peter told of his strange encounter to friends, including a UFO group at Fairfield. In turn, the incident was related by a member of the group to a friend in the Liverpool Army Camp. This soldier, and two others from Ingleburn, while on leave, decided that they would go on a camping trip to investigate the area of Peter Suttor’s strange sighting. Setting off from Warragamba Township, they attempted to follow the approximate route taken by Peter. It is believed that they penetrated several kilometers inland to the approximate area where the strange figures had been seen. However, it was beyond a certain point that all trace of them was lost. Despite searchers efforts, like the earlier servicemen two years before, all trace of these soldiers was lost. Furthermore, all further mention of their disappearance was soon lost in the official wall of silence that descended on the whole matter. NOTE: The above image is CGI. Have seen the same pair of UFOs on the nights of Friday, March 15th, Sunday, March 17th and Monday, March 18. Both are always near the same location and around the same time, which seems to be from about 11 p.m. to after 12:30 a.m. At first glance I thought they were stars twinkling, but soon realized that wasn’t possible as both were too wide, oddly shaped and flashing various colors. Have been visiting my mother in my hometown of Redlands for the last several weeks. On the aforementioned nights, I spotted the vessels from her backyard. The first craft seemed to be about 75 feet off the ground and hovering near the intersection of Tennessee St. and Barton Road. 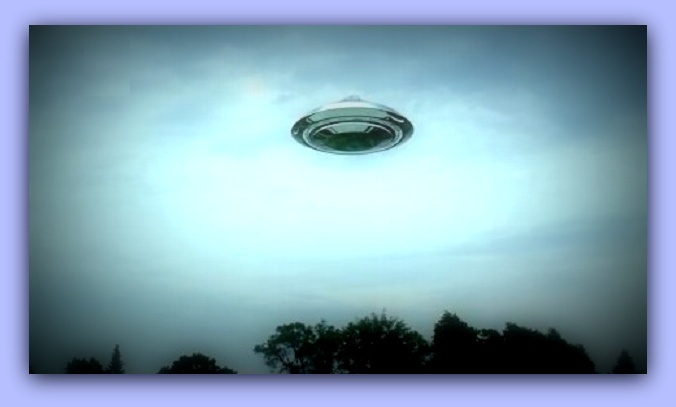 The other seemed to hover at about the same altitude over the Arrowhead Christian Academy, which is at the intersection of Pine Ave. and Tennessee St. With the naked eye, both appeared as imperfect inverted triangles that flashed red, blue, green and white lights. When seen thru binoculars the crafts changed shapes – from what looked like a giant, electric jellyfish, to a half circle, to a full circle with pulsating and rotating lights. Both were silent. The one on my left would leave and go further west and out of my view usually between 12:30 and 12:40 a.m. The other to my right normally stayed in its position longer. On that Monday, March 18th it hovered in the same spot until about 1:50 a.m. before heading further west. All three nights were crystal clear. Did not see them on the nights of March 19th, 20th and 21st. We had cloud cover and rain on those nights. With only an average cell phone camera, the quality would not have been sufficient to show enough detail of them. NOTE: The above image is CGI. 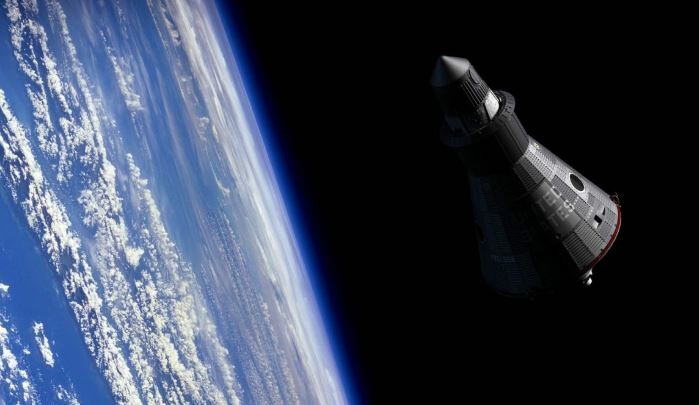 A group of Soviet engineers working in this isolated region in the hope of building a hydroelectric power plant suddenly heard a rumble of engines overhead and thinking that it was American B-52 bombers they all ran out of their tents but were surprised to see a black angular diamond shaped object approximately twice the size of the moon and which emitted a greenish-blue light. Moments later a fiery comet shaped object emerging somewhere on the earth struck the diamond shaped object, immediately there was a bright flash which blinded everyone, and then a powerful shock wave knocked the Russian hydrologists down and tore their tents apart, sweeping away their equipment, fortunately no one was seriously hurt, but the explosion produced deep concern amongst those present. They even thought that a small nuclear device had exploded. During several hours neither the radio or other communications equipment worked, producing only severe static. Only in the morning it was possible to contact their central base and report the incident. The scientists promised a full report of the events and visited the closest village where strangely there was no sign of destruction or explosion, the inhabitants only thought that they had heard a very “loud thunderstorm”. 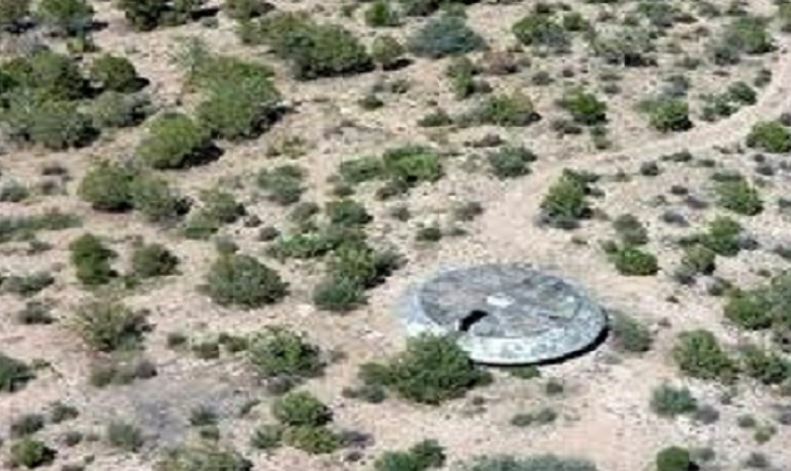 After about 2 days the scientists found at about 1km from their base camp a black half sphere shaped object about 3 meters in diameter. The surface of the sphere was completely black; it seemed that light did not reflect from its surface. Moreover the sphere did not cast a shadow; the rays of the low evening sun seemed to go around the strange object, falling on the high grass around it. By touch the sphere seemed cool and a bit slippery, as if doused with soapy water. One of the men attempted to scratch the surface of the sphere with a sharp knife to no avail. They then notified their central base about their enigmatic finding. Soon after the group received instructions from their main base, to set up a protective perimeter around the object and guard it until a “special group” arrived at the site. They were strictly warned not to approach within 20 meters of the sphere, thus the entire group of five men camped at exactly 20 meters from the sphere. They had no idea what the sphere could be and guessed it was some kind of new weaponry either of Soviet or American origin. After building a small bonfire the men began to rest. The men stared at the bizarre object with bizarre fascination and fear. One of the specialists, Boris Ivanov wrote in his dairy that the men rested uneasy staring at the object in the light of their bonfire with their carbines ready just in case of any problems, waiting for the Special Forces group to eventually show up and take control of the situation. Soon one of the men, Viacheslav G, rose and went into the brushwood; the rest barely noticed and thought that it must be a prosaic reason for his outing. When in five minutes he did not return, the men began to nervously call out his name, but he did not return. Searching the area with flashlights in the direction of the sphere the men could not find Viacheslav. Concerned and afraid the rest of the men decided not to look any further and returned to the bonfire. After about an hour another man, Peter K, silently rose and also went into the brushwood exactly in the same direction that Viacheslav had taken. He seemed to move uncomfortably, rocking back and forth, apparently very drowsy. A kind of anxiety suddenly enveloped the rest of the men and they remained sitting by the bonfire, unable to intervene. Peter K never returned. This time the remaining men did not search for Peter, but simply sat and waited. A feeling of predestination filled the men. After two more hours to the sphere went Vladimir M., it was obvious that he could not resist whatever force beckoned him, he also never came back. Now only two men remained, Boris and Sergey T. both torpid with fear and refusing to move from their position. But suddenly Sergey’s face became distorted; he arose like a weak-willed marionette and meandered away into the dark, in the direction of the strange sphere. Moments later Boris found himself able to move again, terrified he grabbed his carbine and shot himself on the leg in an attempt to disable himself so he wouldn’t walk away to an uncertain faith. As a result of the pain, he passed out. This action possibly saved Boris. He woke up in the morning when the specialists arrived. They found him half-conscious by the now extinguished bonfire, having lost a lot of blood but still alive, by this time the sphere had disappeared along with his comrades. He was soon evacuated from the area, but not before Boris convinced himself that he and his friends had encounter some type of extraterrestrial probe which had somehow taken his friends with it to places unknown. NOTE: The above image is CGI. On March 18th around 11:30 a.m. I was parked at Port Republic Park in New Jersey. I was returning emails and phone calls for work when I looked across the water and saw a black helicopter moving very slow, almost just hovering at about a hundred feet in the air. I watch this for 15 minutes or so. At this point the helicopter was too loud for me to talk business on the phone so I decided to leave. As I drove around down the road the helicopter was coming my way so I pulled off to the side and waited for it to come to me. As it got closer all the dirt wind sticks and leaves we’re being blown all around me. Being this close I was able to get a good look at the helicopter. It was all black no markings at all, no numbers or letters or names. There was a person in a jumpsuit sitting outside the helicopter taking photos. There was another car doing the same thing I was but I never talked to him. I was so fixated on the helicopter I almost missed it. I noticed above and to the right a sphere with multiple flat sides like a hexagon. The sphere was spinning slowly and hovering or moving very slowly at this point. I could see the sun bouncing off the flat metallic sides as it spun. I’m not sure if the helicopter was aware or not. At this point I took out my phone and videotaped but had noticed the sphere what’s going gone from my site. At this point I continued to follow the helicopter at about 10 miles an hour or slower. I could clearly see the person in the helicopter taking photos and at one point of me and my car so I thought I better leave. When I got home and took a look at the video I realized that the sphere was in the sky but had just had moved more to the right. Unfortunately my phone video did not do it justice. That being said I did document the strange event as you can see. When you look at the video enlarged and slow down and you will see the object appear in the bottom Circle then in one frame jumps to the second Circle. I don’t know how long a frame is but that seems ungodly fast to me. If it wasn’t for seeing that jump I may have just wrote it off to a strange sighting that could have been anything. Please analyze and clear up my video as I did the best I could with what I had. This case is under investigation by Field Investigator Debra Tosi of MUFON New Jersey. During the summer of 1969, when I was 18, I visited Block Island, and decided to camp out atop the Mohegan Bluffs on the south shore. I found an abandoned weather-beaten wooden lean-to shaped like a Boy Scouts tent, sunken into one of the bluffs, about halfway up the slope, or just a little more. (I have always called it a lean-to, but strictly speaking, it was a bit different in that the two narrower sides were open and the roof came to a peak in the middle.) It was nine or ten feet long and maybe five feet high at the peak. The post facing the slope in back had a lot of strange writing on it in a language I didnt recognize some sort of Far Eastern script. I remember that the letters were well formed, the work of a skilled hand. After awhile the tide came in, and along with the growing darkness, a thick fog. That night I heard all sorts of strange sounds, which I attributed to fatigue, nervousness, and the noise of the sea and wind. At first I thought I heard voices on the shore below but there was no sign of any human visitor. My ears are playing tricks on me, I thought. After awhile, it seemed as if several people were speaking a few feet away, near the farther end of the lean-to. Yet their words were not quite recognizable; it was as if they were speaking in an adjacent dimension. This too I chalked up to fatigue and an overactive imagination. Determined to still my childish anxieties, I started to read Jack Kerouacas Desolation Angels, in which the author describes his months as a forest ranger in the Pacific Northwest, and how he had conjured up all sorts of similar fears living alone in the woods. Then, just as I was calming down, there was a loud CRASH against the front wall of the leant-to, the side that faced the sea, as if it had been struck by a rock. This was no figment of my imagination! In terror, I ran outside, and called out. But there was no reply. I wanted to examine the wall of the lean-to, but could hardly see a thing in the dark. The wind was blowing and the tides were making a lot of noise at the shore below. I quickly scrambled up the steep clay incline, using both my hands and feet. The fog was so thick that could hardly see, but I dared not stop. As I got over the crest, I sensed a presence over my head but I didnt look up, just kept running into the miasma across the bed of rubbery green stuff that grew profusely atop the bluffs. A moment later I found myself encircled in a wide ring of light, despite the fog. It was as if a huge floodlight had been focused on me from above as I ran, although this seemed to be physically impossible. Then on the upper periphery of my vision, I saw what I imagined was a giant bird perhaps the size of a small plane silently gliding over my head, seeming to obliterate the light as it flew by. (This eclipse of the light I cant explain, either. 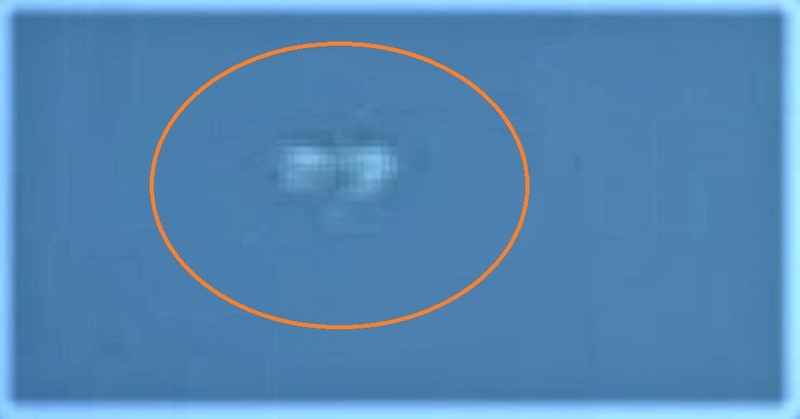 In the MUFON checklist, I identified the craft as a boomerang shape, but Im really not sure what shape it was. I couldn’t accurately estimate the size of the craft either, but did my best on the checklist.) Eventually I reached the paved road that led back to town. A few minutes later, a car came by. I stepped out of the shrubbery, put out my thumb, and it stopped. Two guys in their twenties, year-round Block Islanders, gave me a ride to town. On the way, they asked me what I had been doing near Black Rock Point at night. When I told them what had just occurred, they were astonished. Didnt you notice that all of the houses out there are empty? Everyone knows thats the most haunted part of the Island! Nobody goes out there after dark! Because of this, for decades I believed that the entire episode was some sort of poltergeist phenomenon or a ghost story. But when many decades later, I told the tale to my grandson, he pronounced it a UFO experience, and I am now inclined toward that theory. NOTE: The above image is CGI. This case is under investigation by Field Investigator Eric Smith of MUFON Rhode Island. A UFO sighting left a pet terrified in Newbury, Berkshire. An unnamed witness has reported into the Mutual UFO Network (MUFON) their UFO sighting on the night of February 13. 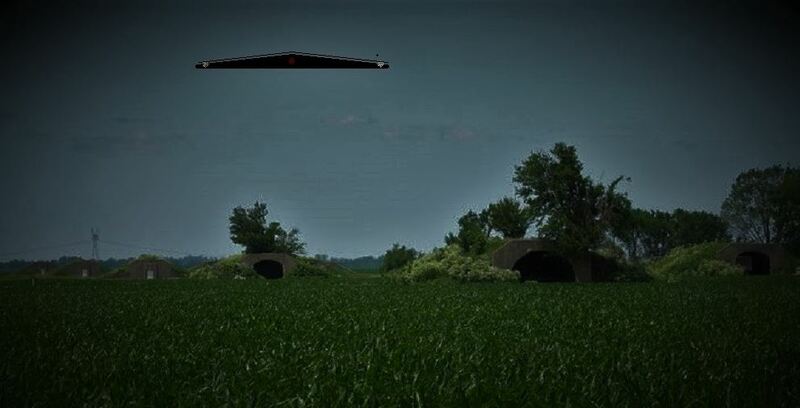 According to the report, they were walking their dog in Boxford, West Berkshire when suddenly a black triangle zoomed overhead, flying at nearly 40 miles per hour. 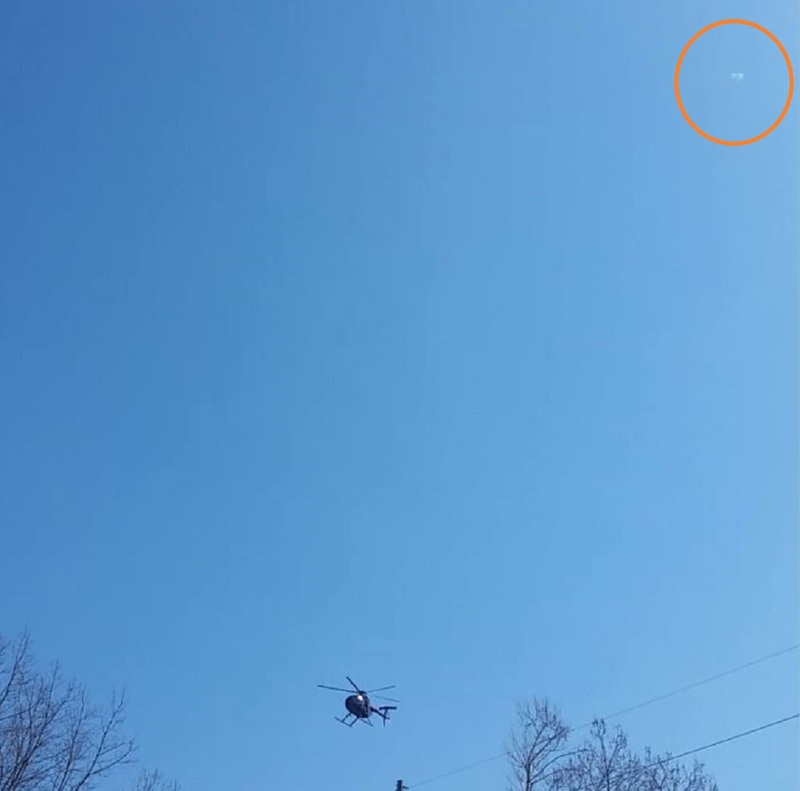 The UFO was moving without noise and about one kilometre in the sky, according to the witness. They said that the mysterious object reminiscent of a football stadium light. The witness wrote in their report that the two leading edges seemed longer than the rear side, around 60-40 percent. The rear edge looked like a light strip appearing a bit like a classic sci-fi light drive, according to the report. The lights were like the ones in the football stadium but not as bright. The witness saw flashing red and white lights at the tips where white may have been constant, and red was flashing. They did not notice lights underneath, and the body looked to be satin/matte black. The witness noticed their dog appeared to be disturbed as it jumped around three or four times and made a squeaky noise. NOTE: The above image is CGI. Just before 9 pm on the evening of 3rd October 1978, 29-year-old, Hideichi Amano, the owner of a local snack bar, sat in his car on top of a mountain area overlooking Sayama City in Japan’s Saitama Prefecture. Amano was a keen HAM radio operator and the reception was much clearer from this spot. On this evening as he listened to the chatter on the radio waves, he was chatting with his brother who lived on the other side of Japan. They spoke for several minutes before Amano spoke to several other HAM operators in the area. In the car with him sat his 2-year-old daughter, Juri, and because of this he would excuse himself from the airwaves and make the decision to return home earlier than normal. However, just as he began to set out for home, a strange bright light announced itself and filled the interior of the vehicle rudely and suddenly. He quickly moved his eyes around the inside of the car trying to locate the source of the intense glow. Unable to do so, he turned his attention to outside the car, winding down to the window and pushing his head outside into the dark night. When he did, though, instead of seeing a physical object shining down a light towards them, he instead saw nothing at all out of the ordinary. The night and his surroundings were perfectly serene. The light, it appeared, was coming from inside the car. When he returned his head inside the vehicle, though, he was confronted with the sight of his young daughter, laying on her back seemingly in a trance and foaming at the mouth. “Voiceless High-Pitched Noises” Directly Into The Mind! Before he could turn his full attention to Juri, however, a “strange orange circle of light” appeared on his lower abdomen. He would trace the light, through the windscreen of the car and seemingly to a point in the distant night sky. Suddenly, a feeling of something pressing against the right side of his head overcame him. When he turned his head, a bizarre “unearthly creature” with a pipe-like object merging from its mouth stood next to the car. The “pipe” was pressing against Amano’s face, from which he could hear “voiceless high-pitched noises”. He would later liken them to a tape recording on high-speed. This bizarre creature’s head was round but seemingly with no neck. It also donned large ears which were pointed at the top, as well as a distinct triangular “depression” on its forehead. The eyes would glow a blue-white color, while the pipe pressing against his head would cover its mouth and nose. The more he began to regain control over his senses in the following moments, the increasingly frightened he became. His attempts to start the car would go without reward. Both the engine and the headlights were seemingly without power. At the same time, the strange high-pitched sounds continued, filling his brain with their alien message. He seemingly submitted to this bizarre auditory grip until around five minutes later when the bizarre creature began to fade away. As did the device pressing against his head. Furthermore, the high-pitched instructions ceased. And the orange light that apparently reached for him from somewhere deep in the cosmos vanished. For a mini-second, there was perfect silence. Then, the headlights, radio, and engine of his car burst into life at the same time. When he checked his watch, it was stopped at 9:57 pm. It wasn’t until several minutes later after he had negotiated the descending road from the mountain to the foothills below that his daughter’s calls for a drink of water snapped him back to the moment. Feeling safe he had put enough distance between themselves and whatever it was that had penetrated the car on the mountain top, he brought the vehicle to a stop momentarily to check on Juri. After wrestling with whether to do so or not, he would make a report to police of the incident on the way home. Knowing immediately that they didn’t take his information seriously, he would regret doing so. By the time he returned home to the apartment above the snack bar he and his wife owned, his daughter was fast asleep. He would leave her with his wife, who was watching the counter of the snack bar, while he went straight to bed. A sudden and piercing headache had taken hold on the drive home. Over the following days, however, likely from the police report, reporters and television researchers got hold of the account. One show, in particular, one of the most popular in Japan at the time called “11 pm” took an interest. They wished for him to undergo hypnotic regression so they could prove his case. He would agree and Akio Morihe, a professional hypnotist was in charge of unveiling just what happened that evening. NOTE: The above Image is CGI. Description: 6 flickering red/white lights linked together in a broken “V,” converged to form a hexagon, then flew away. Witness statement: While Driving down I-35 westbound and Rendon Crowley Rd., next to Texas Health Huguley Hospital, I was on the phone with my girlfriend, driving ahead of me, and we both witness strange red/white flashing lights in the sky a little in the distance. We drove parallel to these lights and it looked like they were linked in a chain together 3 lights majority stay red followed by one majority staying white, then 2 more majority red (still flickering the opposite color red to white or white to red). They formed a broken V-shape, while spread out seemingly linked together somehow. I wanted a better look so we exited the highway, turned around, and then came into the view of the strange lights. They were remaining still the first time we drove by them. 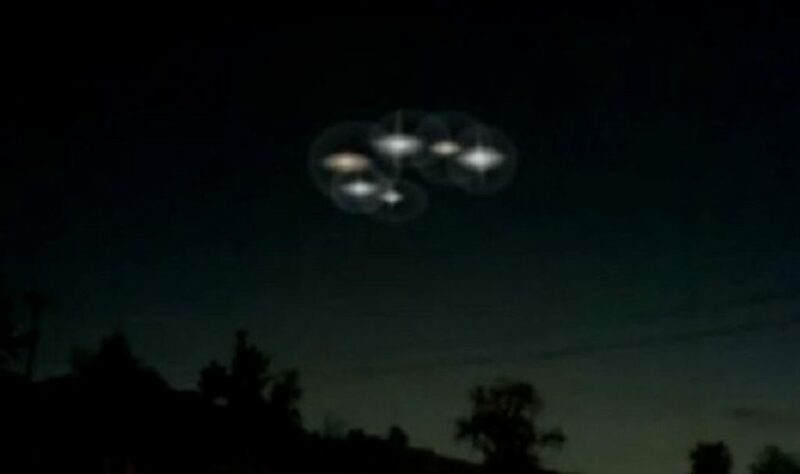 As we approached they seemed to form a hexagonal shape, and started to glow the same color, but would randomly flicker the opposite light individually (red to white). As we got closer to the spot we first witness them, they drifted away further and further ahead. Background: I don’t have any UFO viewing experiences, but have always wanted to see something out of the ordinary. Absolutely love watching documentaries about UFO’s. I had some slight doubt at first. Just so absolutely happy I was finally able to witness this wonderful event. I am 25 years old, white male, manage an electronic retail store. NOTE: The above image is CGI. In the town of Ravenna, Italy, a short time later, Lorenza Jole heard a sudden noise which caused her to investigate through her front window. Stunned, she would witness an oval-shaped object between two houses opposite hers on the ground. She would later estimate the object to be around ten feet high and around seven feet across. 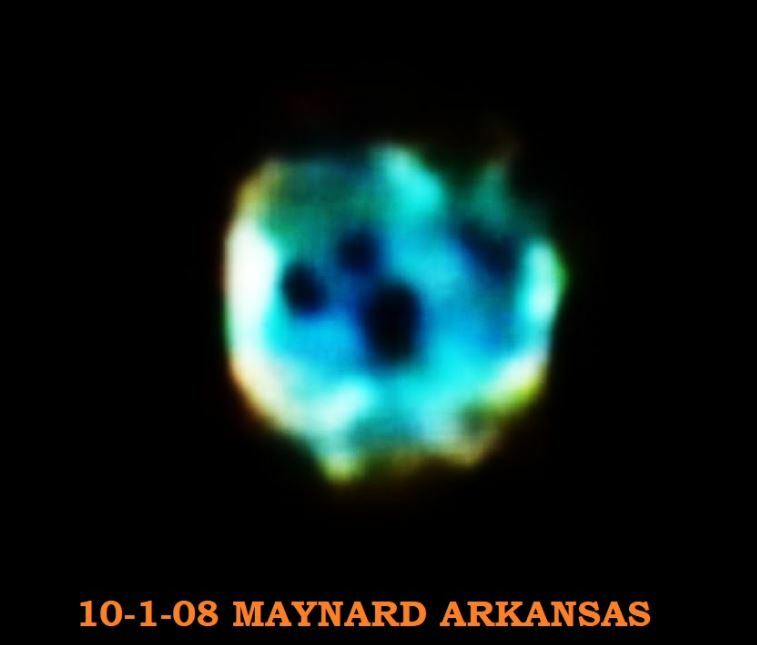 Even more bizarre, several smaller spheres were also visible in the vicinity of the craft. Unlike the object, which was a pink color, the smaller spheres were a bright white. It was then that she saw the strange and slightly menacing humanoid figure stood in front of the craft. It was dressed in some strange “battle-like armor” including a heavy-clad helmet. Unsure whether the figure had noticed her, Jole went to another window to get a better view. However, by the time she reached this vantage point, the figure was gone. And the object was rising rapidly into the air. Then, it vanished into the sky at great speed. Whether the sighting in Italy shares a connection with the sighting in Bethel, Alaska is open to debate. It is perhaps interesting, though, that each of the witnesses would describe the craft as oval or “ball-like”. In the case of the Alaska sighting, this description would change in sympathy with the craft’s position. Several hours later, two more sightings would unfold. Both of them thousands of miles away from the first two incidents. And each other. The first would take place at around 7 pm at Serra do Mouro, Santa Catarina, Brazil, when a 19-year-old farmworker was returning home for the evening. However, he would suddenly notice a strange object in the sky ahead. And what’s more, it appeared to be heading in his direction. As this strange object made its way to the witness, he would take in as much detail as he could. He would describe the object as being in two distinct parts or sections, although each appeared to be of the same grey, metallic-looking material. The bottom section resembled a “deep bowl” which looked as though it was rotating as it moved. The upper section, by contrast, was almost flat with a bright light on the top. Furthermore, this light appeared to change color depending on how fast or slow the craft was going. The witness would remember seeing the light change to shades of red, orange, yellow, white, and green at various times during its approach. He would later estimate the craft to be around ten feet across. It passed overhead of him before coming to a stop slightly ahead, hovering around twenty feet above the ground. Then, as the witness watched, a red beam suddenly emerged from the bottom of the craft and projected directly down to the ground. Not quite believing his eyes, the witness would state that within this beam, standing around three feet tall, were three small figures. Each was descending down to the ground. They were now directly in front of him. The witnessed removed a knife from his person and suddenly launched it at one of the creatures, hoping to scare it away. However, as if protected by an invisible shield, the knife bounced away before it could make contact. As if in retaliation, one of the creatures would point a “rod-like device” at him, a blue beam striking him simultaneously. As soon as it did, he became paralyzed. Shortly after, he would lose consciousness. A neighbor would find him and bring him inside. When he awoke, he was inside his home. NOTE: The above image is CGI. I was standing on my large rooftop terrace in downtown Dallas, which is atop of a 15 story building. It was early evening on a Sunday, around 7pm. It was located the Dallas Zoo and the Trinity Forrest area. I noticed an object that had silvery white sides, and red lights. I am a former private pilot with 20/20 vision, and an avid amateur astronomer. I am adept at estimating distance. The craft stayed stationary for 12 minutes or so, turning slowly. It appeared to be round towards the bottom, and tapered, then flat on the top. I estimate that it was at least 5 to 7 miles away. It slowly faded and disappeared. It did not go “up” or sideways. It simply faded into nothing. I attempted to video it with my smartphone, but the digital focus didn’t produce a good image. I narrated it and recall saying the following; “I don’t know if you can see this, but there is something very strange hovering out near the horizon.” I later deleted the video as the quality was poor and I kind of wrote it off as a something strange. It wasn’t until today that I watched Out of The Blue that I realized it might have actually been something from somewhere else. I literally shouted out loud, “THAT IS IT! !” At the 1:40:13 mark in this video of Out of the Blue there is a video of the EXACT SAME OBJECT over Guayaquil Ecuador. If it wasn’t a UFO, how could 2 people see the same thing in different areas on earth? I have never reported a UFO, and I wouldn’t have this one. But seeing the video in taken Ecuador prompted me to do so. NOTE: The above image is CGI. The Lockheed SR-71 “Blackbird” is a long-range, Mach 3+ strategic reconnaissance aircraft that was operated by the United States Air Force. 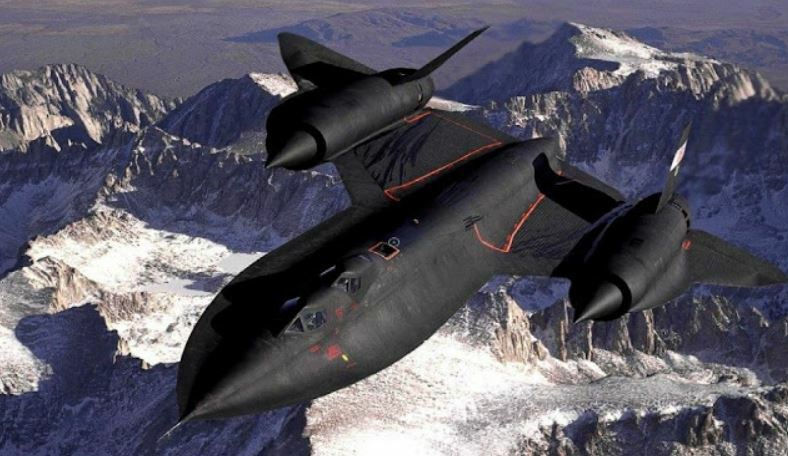 It was developed as a black project from the Lockheed A-12 reconnaissance aircraft in the 1960s by Lockheed and its Skunk Works division. The SR-71 served with the U.S. Air Force from 1964 to 1998. L. A. Marzulli interviews Russel Rasmussen who tells of an encounter a pilot had with a UFO on the wing-tip of his SR 71 for several minutes at an altitude of 70,000 feet. 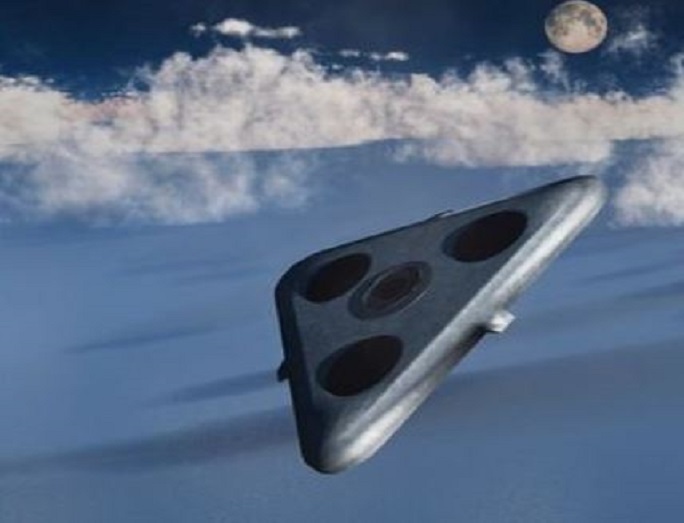 The pilot said to Russel Rasmussen that at the moment the disc-shaped UFO flashed off and disappeared, it was going a bit faster than Mach 3 which was the speed of the SR-71 Blackbird at that moment. This testimony proves once again that U.S. Air Force pilots do indeed have encounters with UFOs, but they are not allowed to talk about it. A USAF RC-135 plane, which was monitoring Soviet military activity as part of the Cold War, came across ‘a big object’ over the Eastern Mediterranean at around 35,000 feet. Details of the file show that British RAF personnel at RAF Troodos, on Cyprus, listened in shock to the encounter unfold through the radio calls of the American crew. On March 4th, 2019 I received a telephone call from an experiencer who has lived in the Fort Worth, TX area his entire life. ‘GF’ decided it was time to come forward with his experiences, since he had many questions. He has endured physical encounters, beginning at age 8. GF is now 61 and he continues to experience regular visitations by other entities, orbs and craft. It began when GF was a boy. He started to experience waking paralysis events. This terrified him but would usually end after a few minutes. Then one particular night, he woke in his bed while lying on his back; completely paralyzed. He had no sensations or feeling throughout his body but was totally awake and able to watch what was going on around him. 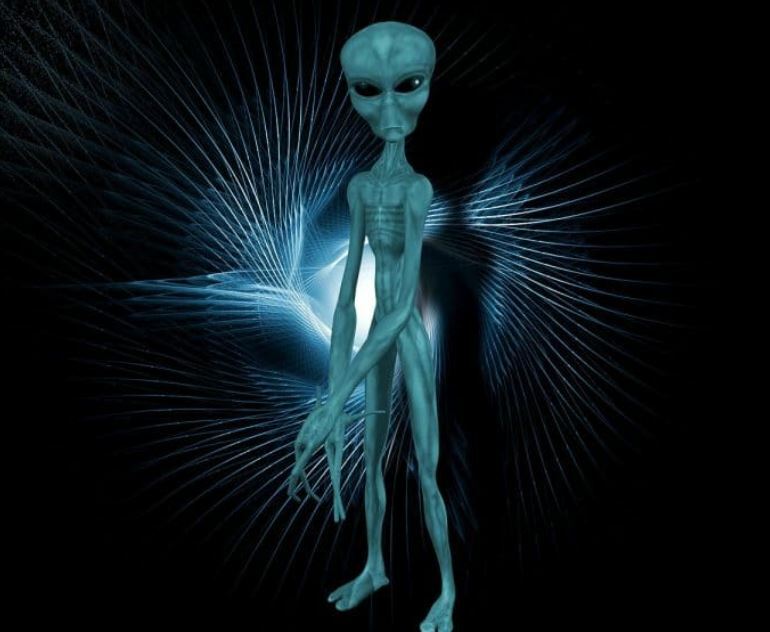 Standing over him were several unknown humanoids that he described as 7-8 ft. in height with large upside-down teardrop shaped heads and black almond shaped eyes. There were no other facial features. The skin was medium brown in color and had a smooth texture. The arms were quite thin and long, ending with small hands and 3 long digits. He was unable to tell what they were doing to him since he had no touch sensation and felt no pain. GL remembers that he had 8-10 of these encounters between the ages of 8 and 31. Each following morning, he would wake with bruises on his arms, legs and chest. He soon noticed a hard, circular object under the skin of his upper right arm. The object remained in his arm until he was a young adult and married. He eventually removed the object himself with the help of his wife. The implant was circular and about the same circumference and thickness of a quarter. It was completely black in color, very hard, smooth and polished. He continues to have an indentation on his arm from where the implant was removed. His wife was frightened of the object and disposed of it, which GL now wishes she had kept. He also stated that, to this day, a clear gel-like substance will occasionally ooze from the indentation. He has been scared to bring up the subject with a physician. Tallahassee Florida 1985/86, the area is known as Lake Jackson, off of Hwy 27 North. I was probably 9/10 at the time. My mother was in her early/mid 30s and my sister was 4/5. The 3 of us had gone to a local convenience store that evening to make ice cream cones for us. We were a family of 4 then, mom, dad, me and my sister. Now, we only lived about 3 miles from this store and my mom, sister and I had traveled to it on many occasions to make these treats. It usually only took us, round trip, no less than 30 minutes. 5 minutes to get there. A few minutes to make the cones, and 5 minutes back. One particular night, coming back from the store, Mom, my sister and I were headed south (Old Bainbridge Rd) back to Wood Hill Dr (Tallahassee). Old Bainbridge Rd is a beautiful 2 laned Oak canopy Rd. On this night, it was really really extra dark. Dark and silent. Not a sound. All of a sudden, we noticed this extremely bright light through the trees. It was so bright, it was like thousands of stadium lights shinning, out of nowhere. The car all of a sudden, started to die. First the radio flickered in and out, then the car headlights started to dim and all of the electrical components started fluttering off and on wildly. Then there was this great flash over us/our car. As quickly as it came, it was fine that fast. It seemed like the car had shut itself off and then right back on, as in a blink. Then we noticed it. The 4 ice cream cones we had made, were completed melded. Puddles in our hands. And what usually took us (round trip) there and back only 30 minutes, had turned into an hour and a half. And hour and a half. I remember telling my mom we had just seen an alien. Keeping in mind, I was only 9/10 then. My mother was completely silent. When we arrived back home, our dad was beside himself, worried, upset, concerned and frustrated. He did understand what had taken us so long and why we didnt have the ice creams. (We tossed the left over cones out the windows of the car. My mom never could tell our dad what had happened. Now in later years, our parents divorced and we moved about 3 miles west of the marital home, to Lakewood Village. Still in the same area because my mom wanted my sister and I to stay in the same school zones. And actually closer to Lake Jackson (Tallahassee). Now at this point in our lives, my sister is roughly 11/12 and I was 16/17. My sister, my mom, my sister friend dawn and I all stayed up late on this night and watched the movie Tombstone (w/Kurt Russell & Val Kimmer) after the movie ended (now approximately 12/12:30am, I went outside to the edge of our driveway, to smoke a cigarette. My sister and her friend Dawn also followed me outside to sneak a drag with me. (I know bad big sister, but that is another issue for another time), anyway, we were sitting down on the edge of the drive, mimicking Val Kimmers character, Doc Holiday, and in doing a little montage, stating his famous line, Im your huckleberry, took a puff off our cigarette and blew the smoke up into the nights sky. Then there it was. Gibberish right over us. COMPLETELY SILENT, not a dog barking, a cricket chirping, toys silence. Errie silence. As we starred in complete silent shock, while this UFO hovered only as high as the tree tops around us, with blue and red lights underneath (all we could see) it then started spinning really fast, so fast the lights turned purple, and then shot off so fast, in the direction over Lake Jackson. Suddenly, the neighborhood dogs started barking again and you could hear local neighborhood noise, we ran into the house, now white as ghost and reported everything to our mom. She actually called the local police this time, and reported it. Additionally another citizen that night witnessed the UFO as well, flying over Lake Jackson as we had stated, same discription around the same time we had seen it. It should also be noted here, my mom called air traffic personnel to see if anything unusual had been spotted, but to no avail. I am now 42 y/o and have moved to the county south of Tallahassee (Wakulla County) and married my high school sweet heart. We built our own home and have 3 children, ya of which are grown young men (one is law enforcement and the other an electrical apprentice) and have a daughter age 7. My husband, my oldest son (22) my brother in law and a few other have witnessed here at my home currently, white orb type lights, flying silently through the skies, always the same direction, from the NE, to the SW (over the Gulf of Mexico) usually in pairs of 2, 3 and 5. More frequently within the last 10 years have they been showing up more and more. Same direction, over my home, complete silence and once they hit the SW corner over the Gulf, they shoot straight up into space without hardy a trace, and always always NEVER making a sound. One night, we actually could see some kind of expelliant or UFO trail left behind as it took off for space. 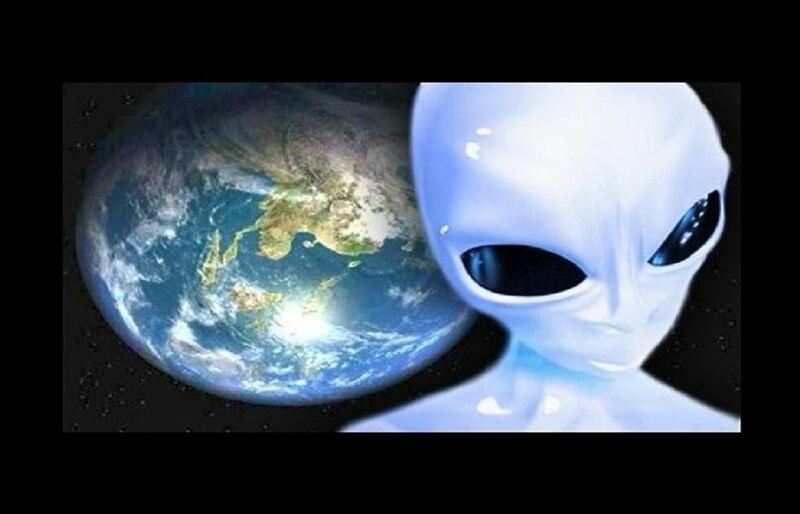 I know without a doubt, the are extraterrestrial visitors. NOTE: The above image is CGI. I saw a black saucer shaped UFO with spinning flashing red yellow orange and blue lights hovering slowly over our house in the Sky at night. I was 8 or 9 years of age. My step brother saw it too. I saw it slowly hovering over so I went in and got my brother to come and see. We were standing on the steps of our porch. 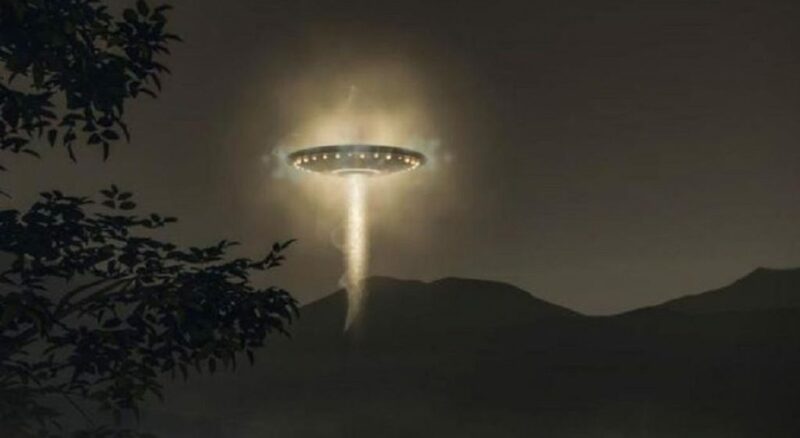 My brother went back in but I was amazed at what I was seeing, for at least 20 minutes I watched that thing come over our trees and hover very slowly then stop and it started flashing the lights then it just kept going over our house. We lived back in a hollow a dead end one way road house. That’s why I couldn’t see it anymore after it passed over the other side of the house and forest behind the house. I know it was not an airplane it was very low hovering slowly and quiet and those flashes of light came from no modern aircraft. I’ve always felt different since then like all I want to to is study the Universe and figure out the secrets of Life. Ive had abduction experiences all the time in my teens like I was paralyzed in my bed but aware of them. Everytime I go back there I have these mind experiences like I’m one with everything like the forest the trees are apart of me. Which is where I’ve been trying to get a peice of land from family it is a family hollow. I was and still am antisocial. It started in my teens. I have pictures taken a few years ago when I was 24 of the sky and if u switch the color to negative U clearly see a Grey or Tall White aliens face. I have more photos. My thoughts are they have been watching over me and I’m not scared I embrace it. They are our God’s and they pick out certain humans at a young age. I think they want us to surpass religion and become our own “Gods”. I’ve always had a problem with my left inner ear I thought about how they could put an Implant inside to track you. Left side side if my brain tingles sometimes. I wish to meet them not afraid at all. We are all Universal Beings. Why would someone keep an eye on Earth? I only had one bad experience. I was 20 years old staying in a motel room. U know how when ur falling to sleep but u end up falling then suddenly wake up with a deep breath? In my dream it was pitch black dark and I was watching a door slowly opening with light shining through in the same room I was sleeping then all of sudden a dark figure darted straight at me then I woke up sat straight up deep breathe and I was stuck looking straight for at least 3 mins. I felt different I looked in the mirror I saw me but It was like I was outside my body for a min then I was ok. I thought about the beings and I said to myself “possession they tried”. I’ve always been more Universal and life over Societal Life, I despise it. I will show u the photos and explain more about my life and these Beings. Maybe after a phone call or something u understand.. BTW there was an old man who had a farm over the hill from us when we were kids we use to Explore the area one day we found a cow that looked just like a cattle mutilation. Surgical and no insides.. NOTE: The above image is CGI. Upon arriving back home later that evening, Hillevi would inform Ingvar of the strange episode. He would, as was his personality, immediately look for rational explanations for what his wife had seen. However, by the time Hillevi had contacted the police, and the government defense office, he accepted something very much out of the ordinary had taken place. Furthermore, both his wife and their young children complained of headaches, stomachaches, and pains in their backs where their kidneys were. As soon became apparent, Hillevi was not the only person to see the strange orange glowing object that evening. Over seventy official reports were made to police, and even the international media would take a passing interest in the apparent wave of sightings. However, as UFO researchers descended upon the usually quiet region of Stockholm, it would soon come to light that sightings such as Hillevi’s were not isolated. Nor were they the most fascinating, or chilling. The previous evening after finishing work late, an electrician would begin his journey home. It was arguably the strangest walk home he would ever take. Most sources state the man’s name as Anders, although some claim him to be Harald Andersson (no relation to the Andersson’s mentioned above). For reasons unknown to him, he would take a route unfamiliar, and not one he had used before. He would even state he had a feeling of guidance to take the route he did. As he walked a sudden light “hit” the side of his head from out of nowhere. Everything went black, and the next thing he knew, he awoke outside his house. His wife was at his side, a look of deep concern on her face. It was then that he realized that painful burns raged all over his body. Furthermore, he couldn’t answer his wife’s questions as to what had happened. He had no memory of the incident whatsoever. At the hospital at Lindholmen, Dr. Ture Arvidsson would treat Anders, and took an immediate interest in his case. Instantly suspecting UFO or extra-terrestrial involvement, he would suggest to Anders that he allow him to hypnotize him. This, he assured him, would recover his memories following the bright light hitting his head. According to the story told by Anders while hypnotically regressed, following the flash of light he was “sucked” upwards, through the air and towards the light itself. The next thing he knew, he was on a table in a large room. All around him were tall creatures, at least four that he could see. They had a “transparent” look to them but also had solid faces, with eyes, nose, and a mouth. He couldn’t, however, see if the creatures had ears or hair as they each wore some kind of hood that “shimmered” as they moved. They used metallic tools to prod and test his skin. He briefly attempted to fight off the intrusions but was quickly overpowered. During the struggle, he even received an injury to his forehead. One interesting thing that Anders would repeat several times while under hypnosis was “I can not say anything!” Even during the regression, he struggled to divulge information of his account, not through lack of memory, but because it was forbidden. He would eventually state that he was warned not to talk about his experience. He even claimed his abductors had put “some kind of mental block” in his mind. They informed him they would not harm him but they would “not allow him to remember!” Incidentally, Anders would display signs of prolonged exposure to “very powerful electrical fields” for some time after the experience. He even found he displayed “abilities” and “senses” he hadn’t had before. While there is no certain connection between the incidents on consecutive nights in March 1974 just north of Stockholm, it is not at all a stretch of the mind to imagine a link. Furthermore, despite the investigations by Swedish authorities, no explanation exists for the bizarre episode. NOTE: The above image is CGI.